Oh this book. 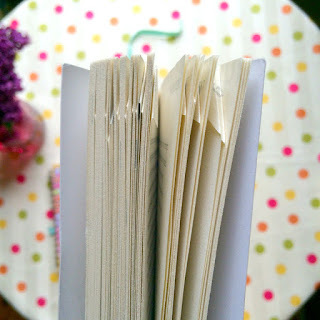 I've dog-eared and highlighted it to near pieces. 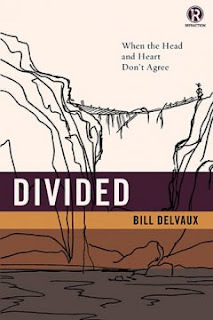 "When the Head and Heart Don't Agree" is the subtitle, and I think one of the biggest problems facing our generation. But let me make that more personal: It is one of the biggest problems facing MY LIFE lately. Oh oh, how hard it can be to bring the head and heart into agreement sometimes, and how erosive the damage is. And sneaky. Sneaky and erosive, and darn destructive. 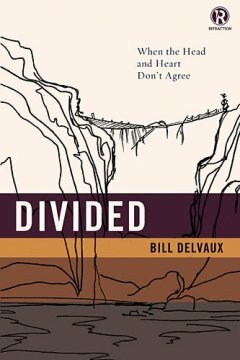 This book unpacks the distance and WHY it is there, why our human spirits are so susceptible to this great divide, and how Jesus wants to bridge the gap. There is useful information here, life-changing information, and I HIGHLY recommend this book. I often joke with my friends that to be intellectual, creative and a Christian is an impossible trio. Pick two! Ha. This book helps me hold tighter to the God I love and know, in both my head and my heart. To bring them both into alignment with Him, and at the foot of the cross. Oh yes. More of that. AMEN. BOOM. THAT'S THE GOD I SERVE! I love anything by Jennie Allen (see what I did there?). Jennie Allen is the real-deal, a sold-out-for-God girl-next-door that you want to be your best friend to do life with. In this book, she shares the prayer that she humbly (not boldly) prayed to God, and the ways it changed her life and many others. Letting God do ANYTHING in your life...wow. I mean, I know we say it all the time, right? God, YOUR will be done. But to surrender every single area of our lives to that REALITY...that gets messy right-quick. Follow along with Jennie as she walks the path, hand in hand, and gives us projects to prepare our hearts and minds for all that God has prepared for us to do. That verse above? Fits perfectly with this book, too. If God goes with us, we will get there. Wherever scary-sort-of place there is. God never says it will be easy. Quite the contrary; He tells us it will be hard. But then He goes before us and beside us. Never leaves us, never abandons. Through Anything.